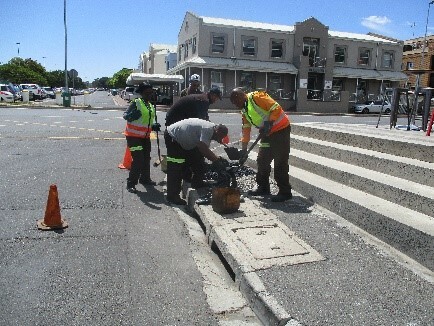 Tygervalley can be assured of a dedicated and comprehensive service being rendered by the TVID (Tygervalley Improvement District), as can be concluded from a report on activities in the area during the past few weeks. 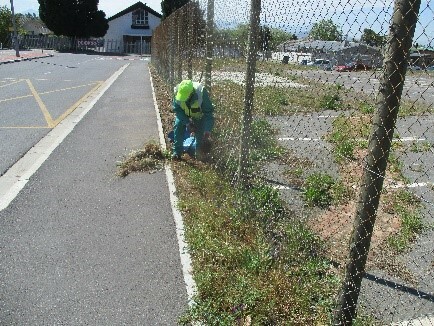 On the Public Safety front there was a large amount of activity that can set the area’s tenants and residents at peace. 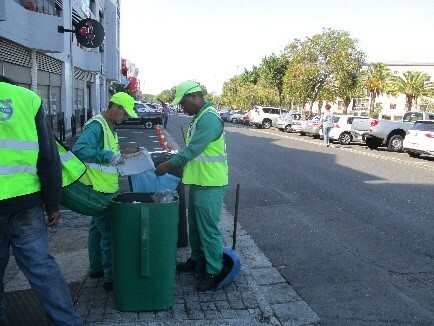 Most of the security activities involving engagement with the public, appear in Havenga Street, Durban Road, Willie Van Schoor Street, Edward Street and Carl Cronje Street. 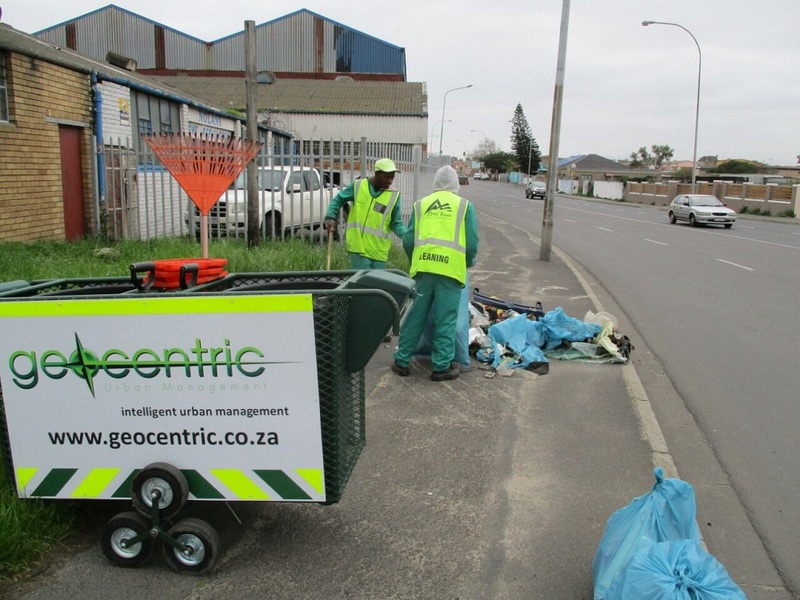 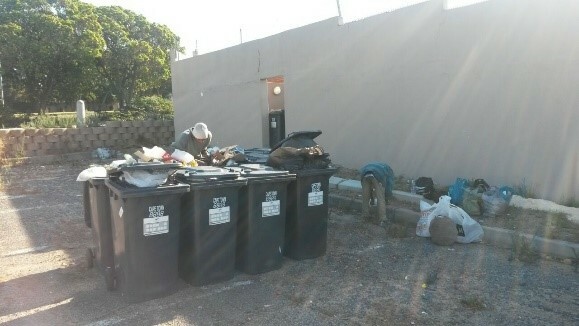 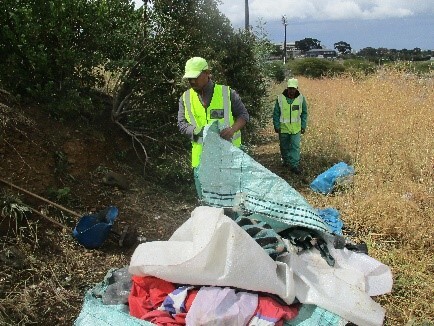 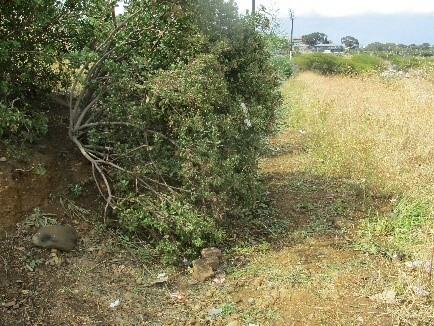 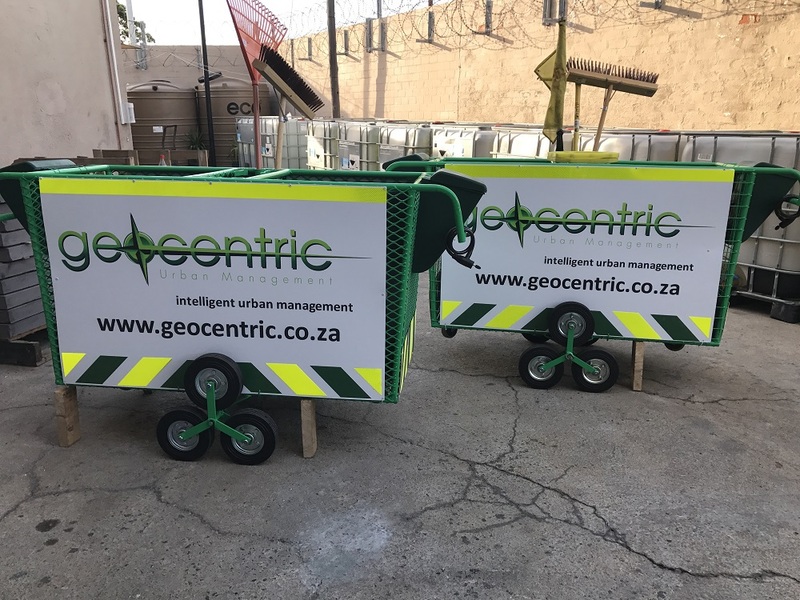 According to TVID Manager Clifford Oostendorp, the reason for this is that beggars, bin scratchers and car guards moving from Bellville to Durbanville or from Durbanville to Bellville pass through the Tygervalley area. 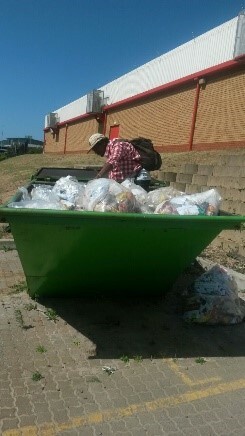 TVID Public Safety Officers engaged with a suspicious-looking man who was in possession of a “tik lolly” on the corner of Oakdale Street and Durban Road. 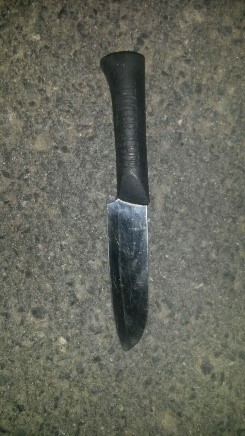 Officers confiscated the item, gave him a warning and removed him out of the area. 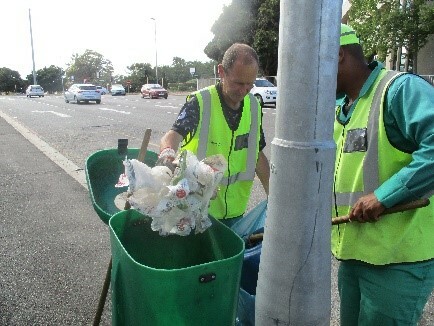 On Durban Road officers engaged with a person who had in his possession an undisclosed amount of City of Cape Town blue refuse bags. 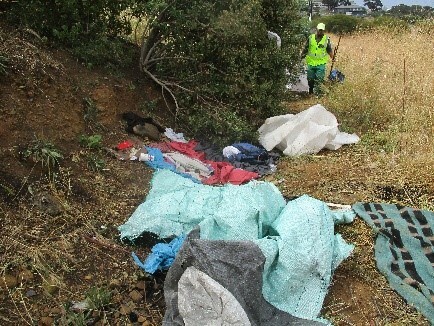 Our officers confiscated the bags and removed him out of the area. 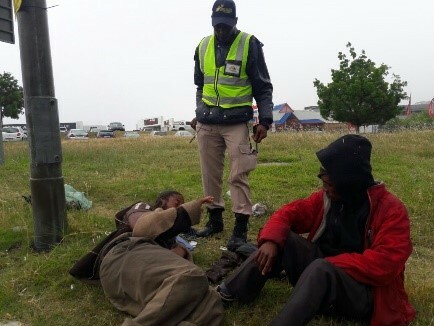 Various suspicious-looking persons were stopped and searched in Edward Street. 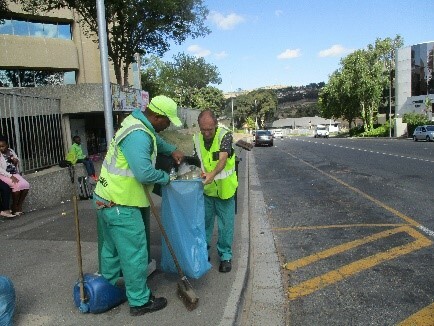 On Edward Street, public safety officers engaged with illegal car guards. 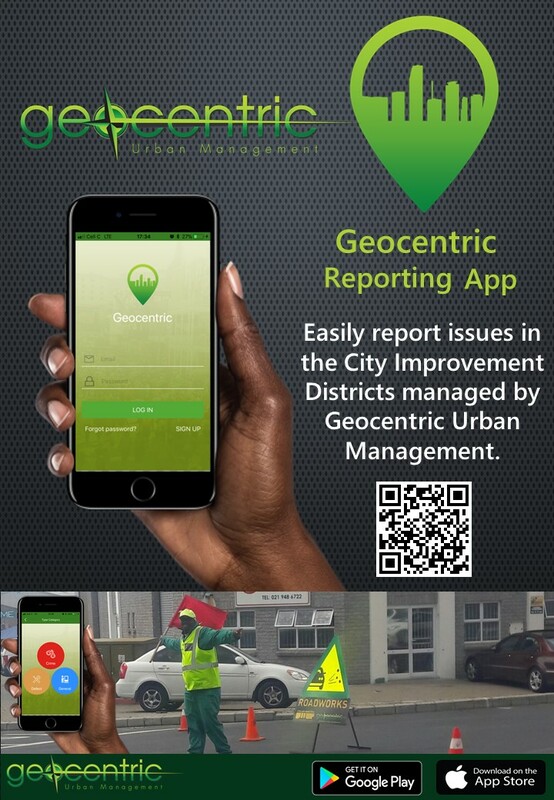 With this application users can report urban defects, crime incidents, public safety issues and general comments. 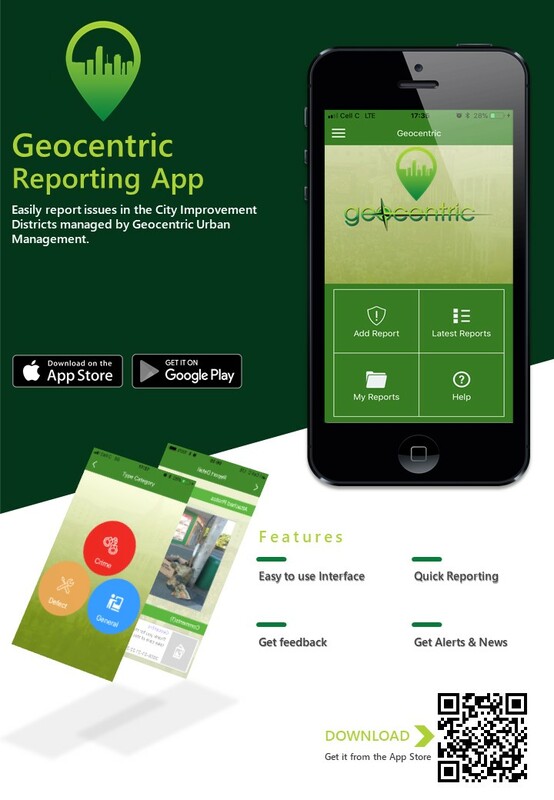 “We will acknowledge your report and provide you with feedback throughout the process. 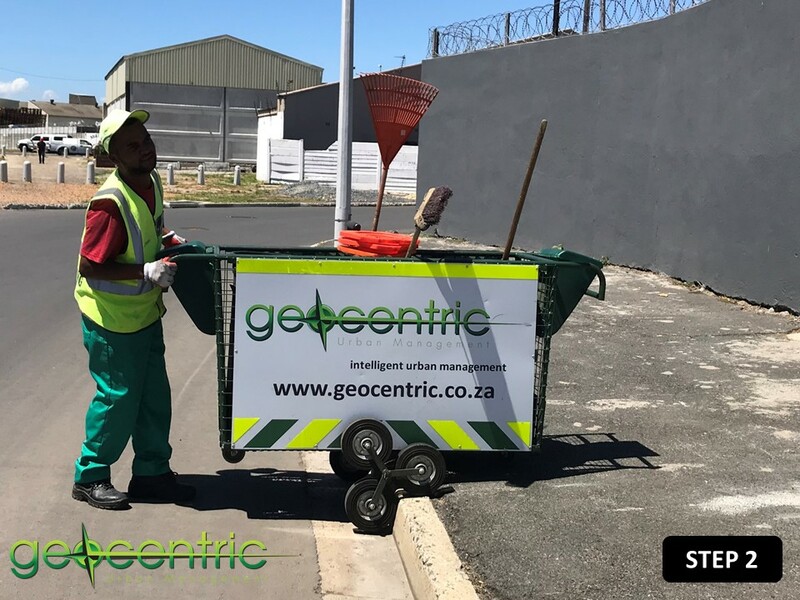 We will also send you ‘Alerts’ of problems in your CID area, such as water leaks or power outages and we can even send crime alerts and safety tips to your mobile phone. 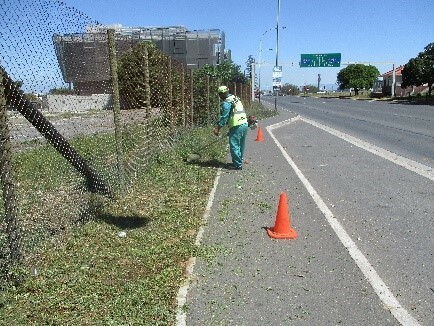 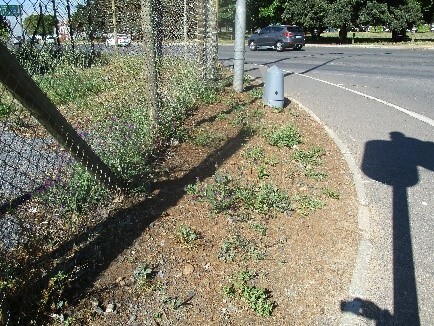 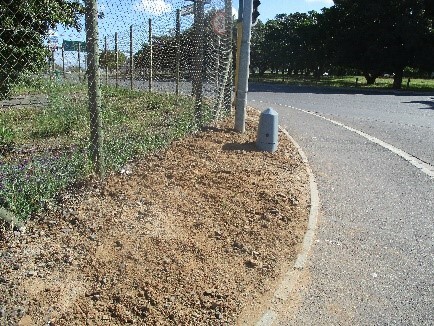 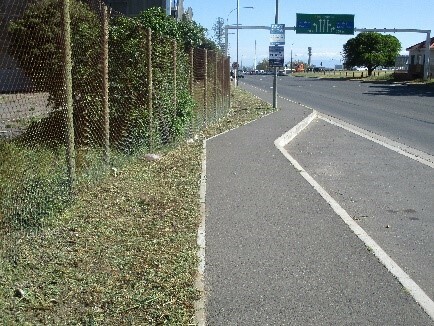 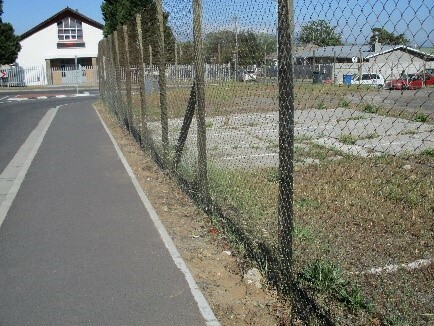 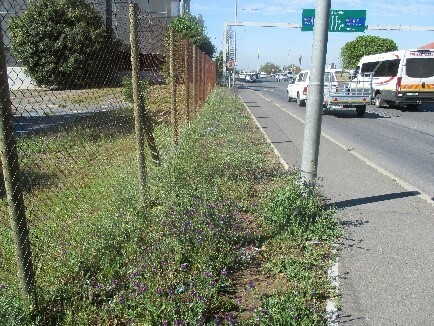 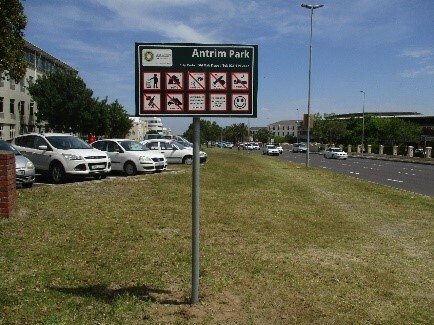 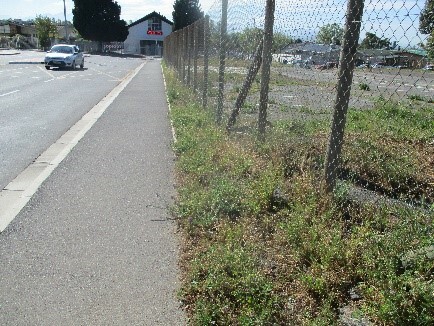 Cutting of grass and de-weeding at Havenga Street, Misspell Street and Durban Road respectively. 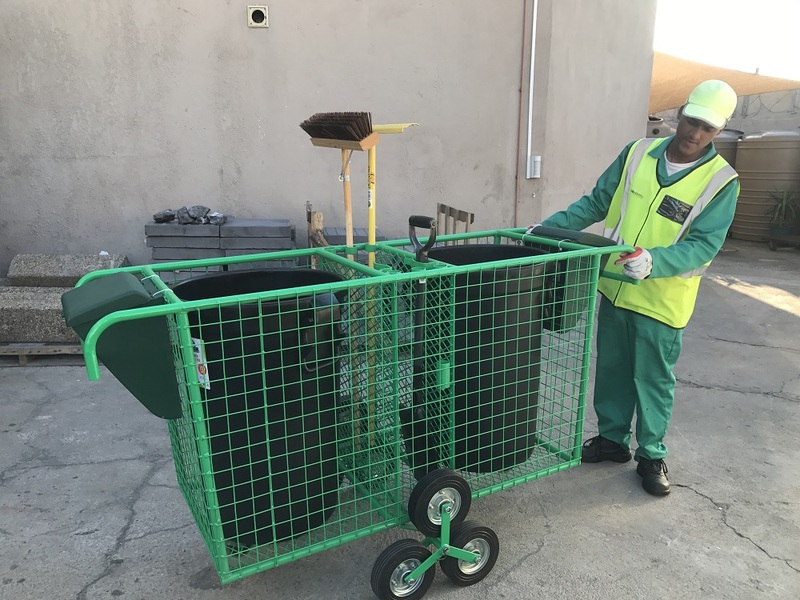 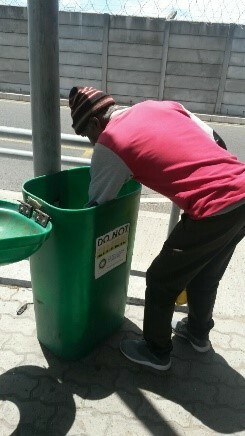 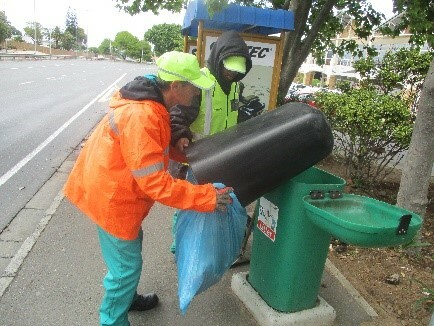 TVID Cleaning and Maintenance Team was deployed to empty green bins in our area. 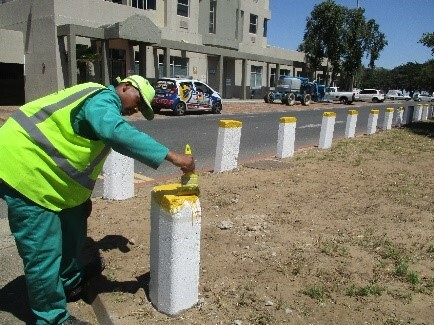 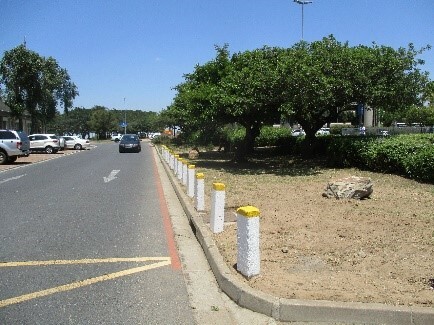 The team also re-aligned and painted bollards and street signs at Durban Road, Edward Street, Willie Van Schoor Street and Antrum Park respectively. 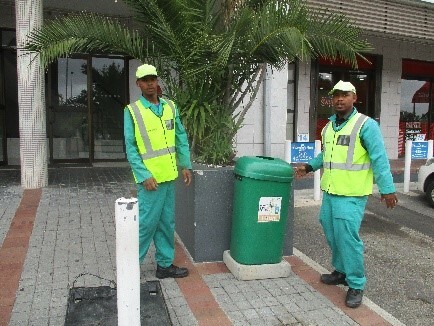 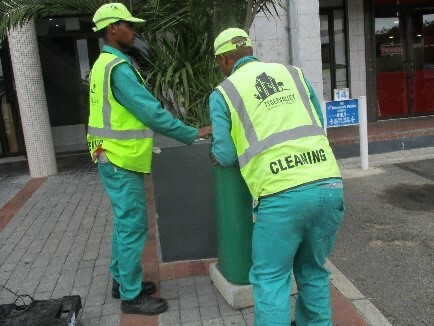 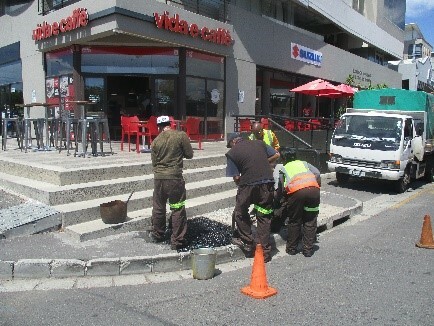 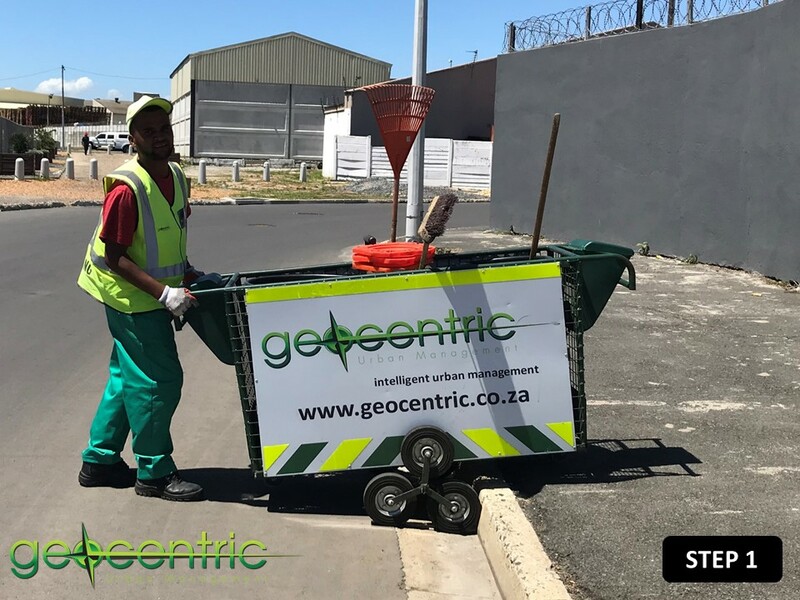 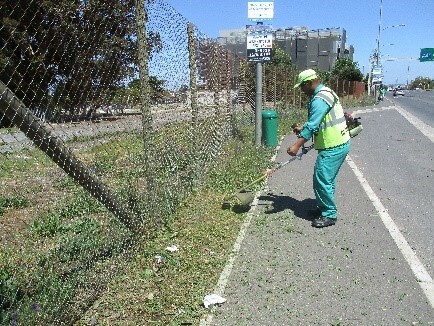 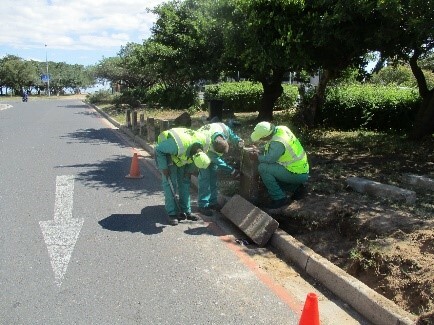 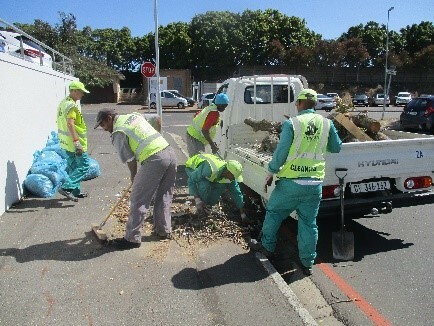 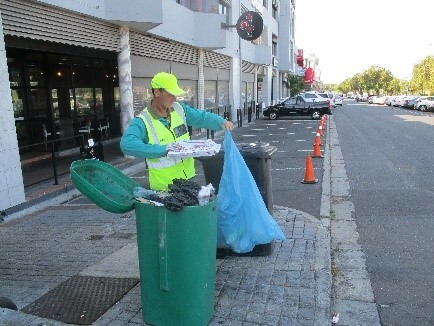 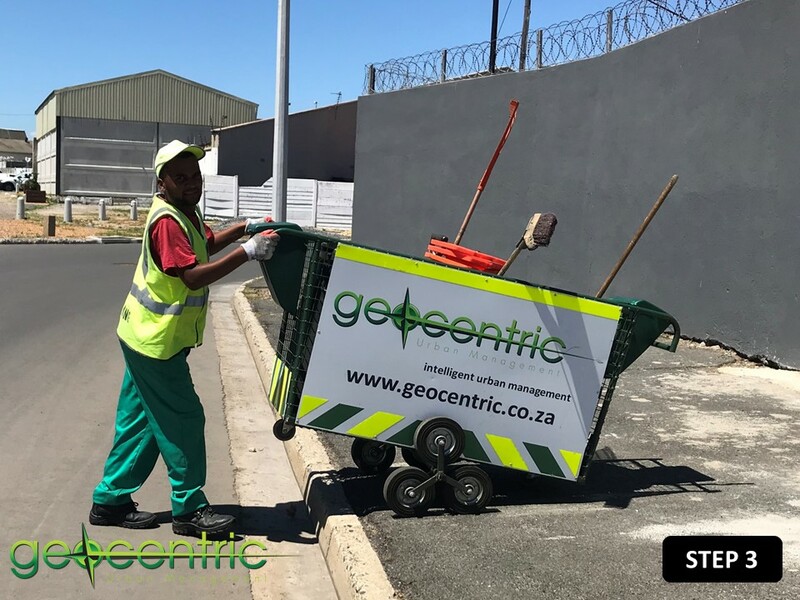 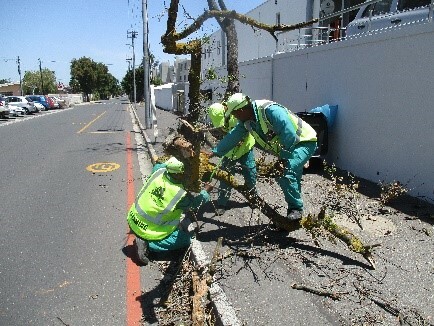 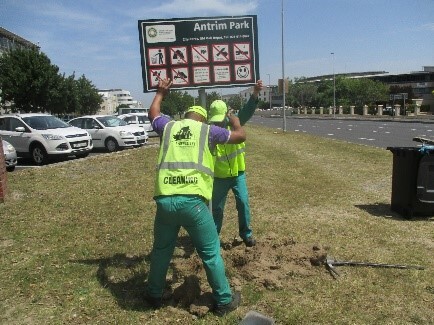 TVID’s Urban Renewal team has back to back responsibilities relating to the maintenance and beautification of the area, when necessary in collaboration with teams of the City of Cape Town. 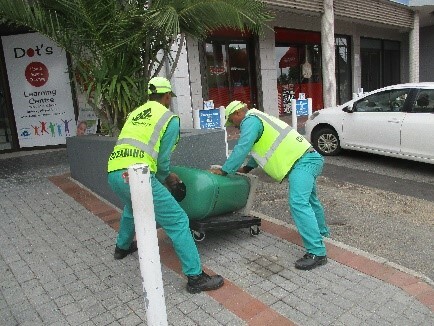 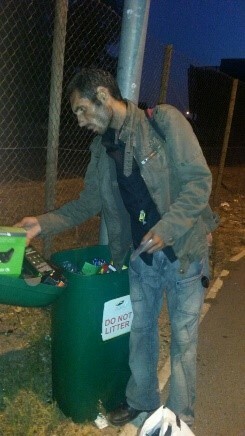 The TVID team can be seen replacing a green bin in Edward Street. 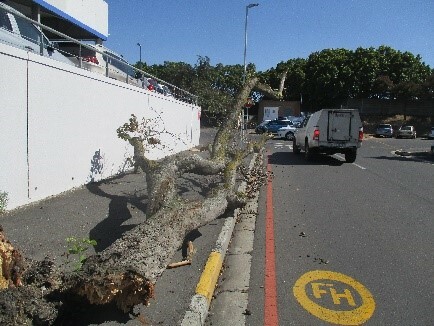 The TVID Maintenance Team were deployed to clear and remove a tree that fell over in strong wind. 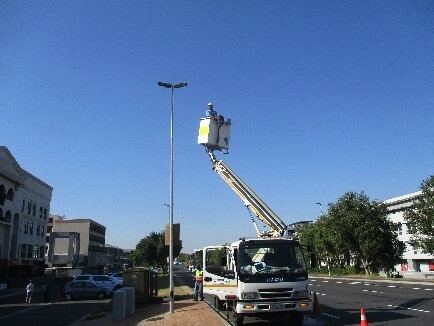 City of Cape Town’s Electricity Department repaired Street lights in Willie Van Schoor Street and Sportica Street. 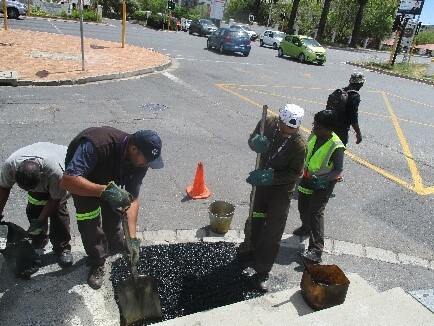 City of Cape Town’s Storm Water and Roads Department reinstated a broken pavement at the corner of Edward Street and Bloemhoff Street.